Mint ice cream a bit too tame for you? Add some cold steel to it with the help of jalapeño pepper! Mint is a prolific plant (in terms of cultivation, it is even considered “invasive”) and its fresh, fragrant leaves can spice up not only tea and chewing gum, but has also a prominent place in many cooking traditions. And of course – you can also make mint ice cream! 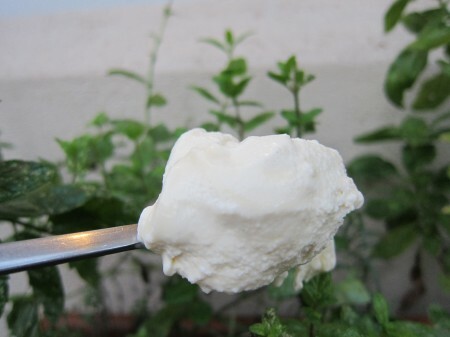 While those in a hurry might be inclined to just pop a few drops of concentrated mint extract into the ice cream base, I decided to take the slightly longer route and prepare mine on the basis of fresh mint leaves. My point of departure was a recipe by the incontournable David Lebovitz. 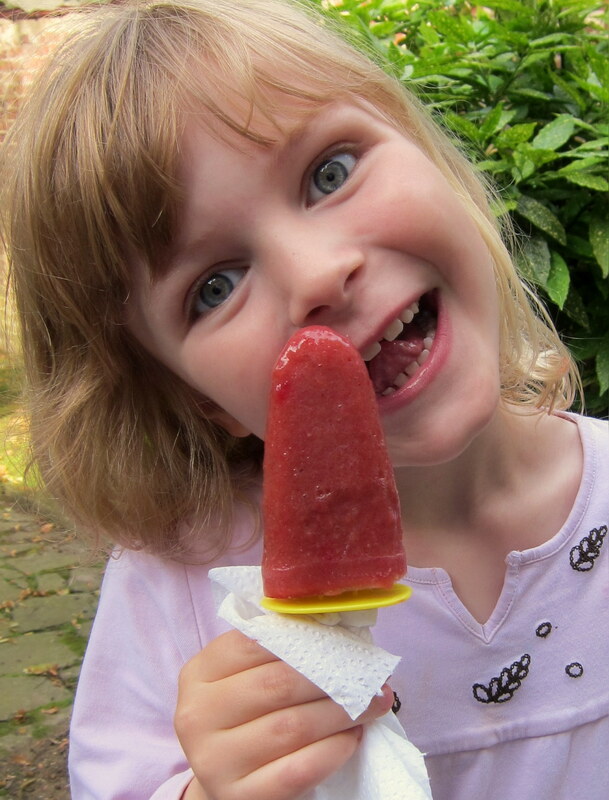 But what originally sparkled my interest was actually the idea by the late Steve ‘Doc’ Wilson (known for his Guinness world record collection of antique ice cream freezers) to prepare a mint ice cream with jalapeño chile pepper. Just to make sure that the final results would cater for all tastes, however, I prepared two batches – one with fresh mint only, the other one with fresh mint and fresh jalapeño. The vanilla in the recipe nicely complements the main flavours, rounding off the tasting experience in a very nice way. The central matter in the preparations is picking the leaves of (quite a lot of) fresh mint. Secondly, let these mint leaves steep in milk for at least an hour or more. Thirdly, remove them from the milk by using a sieve, making sure to squeeze out as much as possible from the leaves. The rest is fairly straightforward (cooked) custard-base ice cream preparations, using sugar, a handful of eggs and 2 parts cream to 1 part milk. 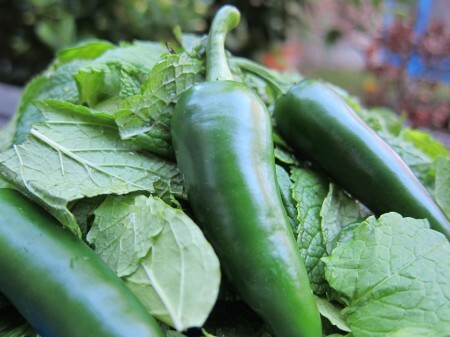 When it comes to the chile pepper family, Jalapeño pepper is a personal favourite of mine! With beginning heat levels around 2,500 Scoville, Jalapeño is often considered a relatively mild chile pepper. I find it pleasantly hot-but- not-too-hot, and with a great flavour that offers so much more than mere heat. It surprised me, but the jalapeños in this recipe did not really make the ice cream downright “hot” (in the sense that chile peppers so often do, like in this recipe). Instead, they added a firm, refreshing “backbone” of general strength to the overall flavour. Clearly reinvigorating and very nice in combination with the mint, but more “steely strong” than “chile hot”, if you follow my associations. If you are only making jalapeño mint ice cream, you could let the peeled and chopped pieces of pepper infuse together with the mint from the very start. If you want to make two different batches from one round of preparation, however, I suggest that you take about 100 ml of the mint-in-milk infusion and add the peppers. While continuing to infuse the rest of the mint leaves separately, the peppers are infused on the side. When infusion is over and it is time to churn (and you have properly squeezed all the mint leaves dry), you divide the available ice cream base in two batches – making sure that the peppery infusion only ends up in one of them. Whisk well and churn! I used about 60 gr fresh mint leaves (equalling, approximately, 3 pots), and would advise against using less. In fact, if you want a strong mint flavour, you would likely have to increase, perhaps even double, the amount of leaves. When it comes to the jalapeños, it should be noted that dedicated fans of chile peppers may want to increase the strength – this is easily accomplished by infusing also the seeds and interior of the peppers, or by using dried peppers. 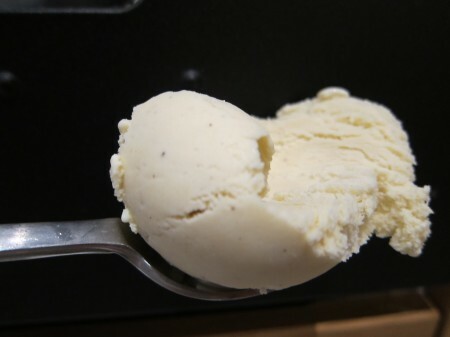 Pleasant herbal ice cream, combining the sweet freshness of mint with an invigorating "steely backbone" of jalapeño. 2-3 fresh jalapeño chile peppers; chopped in pieces and with the seeds and interior taken out. Warm the milk, the sugar and the cream in a sauce pan. Add the fresh mint leaves to the heated dairy-milk base. Stir and make sure that the leaves are properly immersed. Also add the chopped pieces of the jalapeños, and the vanilla. Remove from heat, put aside, and let the leaves and the peppers steep for at least 1 hour in room-temperature. Strain the infused liquid, making sure that all possible mint flavour is squeezed out of the mint leaves (washing your hands and using them to do the squeezing works very well). Discard the mint leaves and the pieces of pepper. Rewarm the mint-pepper infusion in a sauce pan on low to medium heat. Whisk the egg yolks in a separate bowl. Slowly, and while stirring constantly, add the warm infusion to the egg yolks. Return the mixture to the sauce pan. On medium to low heat, continue to heat the ice cream base while stirring with a spatula (make sure you scrape all over the bottom with the spatula), until the ice cream base has thickened somewhat (= reached about 78-82 degrees Celsius). Quickly remove the ice cream base from the heat, and cool it down as quickly as you can. Place the cooled down ice cream base in the refrigerator for at least 4 hours, preferably even over night. Churn the chilled ice cream base in your ice cream maker according to instructions (or still-freeze the ice cream without a machine as discussed in my post about that). Should you prefer to only make fresh mint ice cream, feel free to omit the jalapeño peppers altogether. Would you like to try both flavours side by side, make sure to let the peppers steep in a smaller quantity of dairy, separate from the mint leaves. When it is time to chill the ice cream base, add the pepper infusion to (a bit less than half, since the peppers also bring some dairy infusion) the mint leaves infusion. 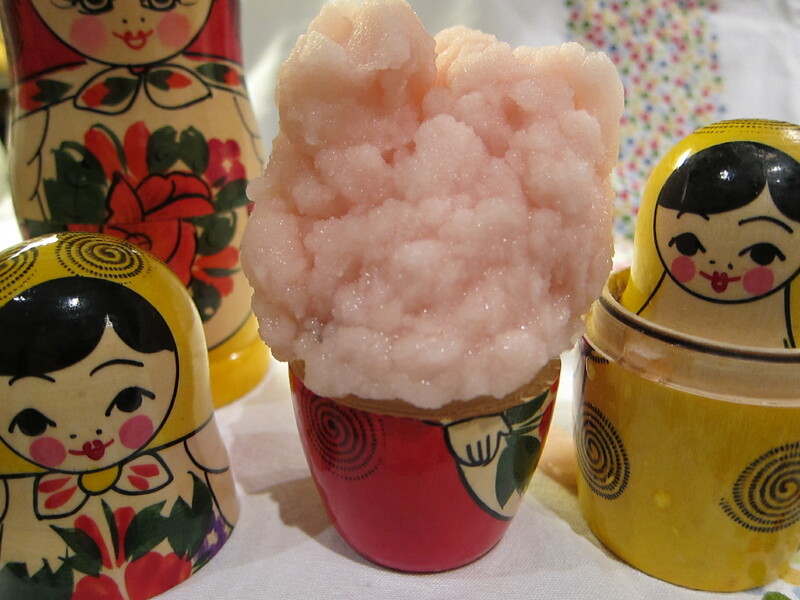 Put in the fridge, let chill and churn each batch separately.